ONE OWNER! NO ACCIDENTS! 4WD! ONE OWNER!! NO ACCIDENTS!! 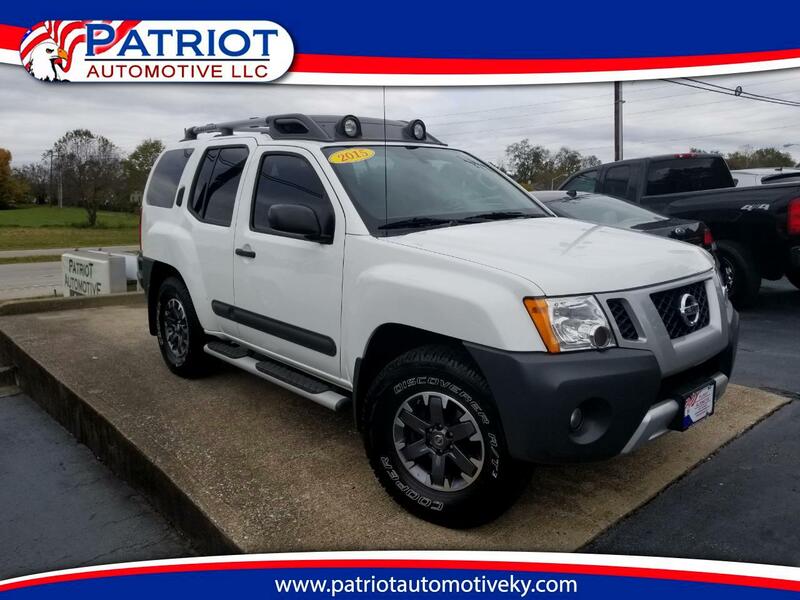 2015 Nissan Xterra 4WD. This Exterra Has Leather Seats, Heated Seats, Power Windows, Power Locks, & Power Mirrors. It Is Equipped With A AM/FM/CD Player, Satellite Radio, Aux Audio Jacks, Hands Free Wireless, Bluetooth, Back Up Camera, Navigation, Cruise Control, Running Boards, Tow Package, Rear Defrost, & Tinted Windows. NISSAN DEPENDABILITY!! THIS 4WD XTERRA DRIVES, RIDES, & RUNS GREAT!! PRICED AT ONLY $23976!!! Message: Thought you might be interested in this 2015 Nissan Xterra.